Vanderbilt uses a holistic admissions process — we do not employ cutoffs for standardized testing or grade point averages. Rather we look for students who have demonstrated strong academic skills and intellectual curiosity, and who have engaged in activities outside the classroom that have nurtured their growth as leaders. Most successful applicants have taken a very rigorous course load and have challenged themselves at the highest levels of the available curriculum. You may apply through the Coalition for Access, Affordability, and Success; the Common Application; or QuestBridge. Do not submit an application through more than one system. Choose one application, and submit all required materials through that method. Please note: applicants to Blair must also complete a music resume and submit forms for two music teacher recommendations via the Blair Acceptd application. You may apply through Early Decision I or II, or Regular Decision. Visit our decision plans page to learn more about these options. Within two business days of submitting the Coalition Application or the Common Application to Vanderbilt, you should receive an email from our office explaining how to create your online MyAppVU account. If you do not receive this email, check through your Coalition Application or Common Application portal to be sure that you have actually submitted the application to Vanderbilt. All applicants to Blair must complete a music resume and submit forms for two music teacher recommendations via the Blair Acceptd application. All applicants to Blair must submit a prescreening audition video via the Blair Acceptd application. Complete the "Requirements for First-Year Applicants." There are no additional requirements for home-schooled students. Visit our Homeshool page to learn more about applying to Vanderbilt as a home-schooled student. *Applicants whose first language or language of instruction is not English are required to submit official scores of one of the following English language proficiency tests: TOEFL, IELTS, or PTE Academic. Vanderbilt's recommended minimum scores are a 100 on the internet-based TOEFL, a 230 on the computer-based TOEFL, a 7.0 on the IELTS, and a 70 on the PTE Academic. The English language proficiency test requirement will be waived if a student has scored above a 600 on the Old SAT Critical Reading (administered prior to March 2016), above a 33 on the New SAT Reading Test (administered March 2016 and later), or above a 26 on the ACT English section. **International applicants requesting consideration for need-based financial aid are required to submit the CSS Profile showing their sources of financial support. Please provide all documents in English. Learn more about the application requirements for international students. Applicants through the QuestBridge program should follow all application instructions outlined on the Vanderbilt page of the QuestBridge web site. All applicants to Blair must complete a music resume and submit forms for two music teacher recommendations via the Blair Accept'd application. All applicants to Blair must submit a prescreening audition video via the Blair Accept'd application. Official SAT or ACT scores are required to complete your application. An official ACT or SAT score report must be submitted directly from the testing agency. The Writing section of the ACT and the Essay section of the SAT are not required. Applicants whose first language or language of instruction is not English are required to submit official scores of an English language proficiency test (either the TOEFL, IELTS, or PTE Academic) in addition to the SAT or the ACT. SAT Subject Tests are optional. If official scores are sent to Vanderbilt, they may be considered during the application review process. For students who enroll at Vanderbilt, some SAT Subject Test scores can be used to meet language proficiency requirements in the College of Arts and Science, and to meet mathematics requirements for some majors in Peabody College. 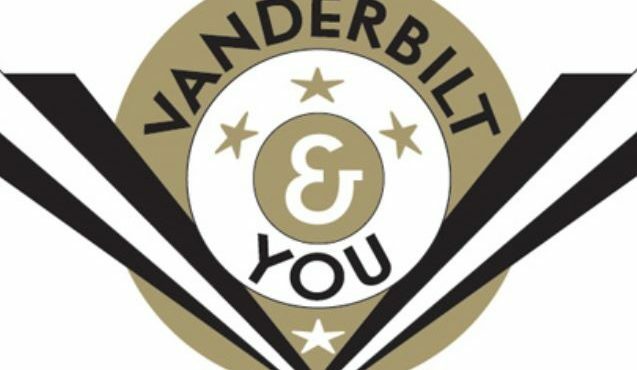 Vanderbilt strongly encourages students to submit scores each time they take the SAT. Vanderbilt will super-score among SAT tests. Only the highest section scores for either the SAT will be considered as part of the admissions review process. Each time SAT scores are submitted, the student's record is updated with the new high section scores. Vanderbilt considers the highest ACT composite score and does not superscore between ACT tests. Applicants whose first language or language of instruction is not English are required to submit official scores of one of the following English language proficiency tests: TOEFL, IELTS, or PTE Academic. Vanderbilt's recommended minimum scores are a 100 on the internet-based TOEFL, a 230 on the computer-based TOEFL, a 7.0 on the IELTS, and a 70 on the PTE Academic. The English language proficiency test requirement will be waived if a student has scored above a 600 on the Old SAT Critical Reading (administered prior to March 2016), above a 33 on the New SAT Reading Test (administered March 2016 and later), or above a 26 on the ACT English section. The results of English language proficiency tests are used by the Admission Committee to better understand your written and spoken English ability. Because the SAT was originally written with U.S. domestic students in mind, we realize that many international students do not score as well on the SAT Critical Reading portion as do domestic students. Therefore, in most cases, a strong TOEFL score will enhance the strength of an international student's application. Vanderbilt University's Institutional TOEFL Testing Code is 1871.